Over the past year, GtD has been proud to be work with Gideon’s Promise to develop measures of culture change that will transform the American criminal justice system. 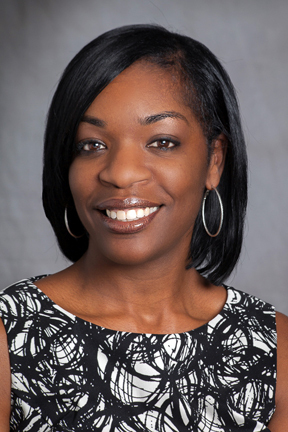 We are delighted to welcome Ilham Askia, Executive Director of Gideon’s Promise to guest blog about our partnership. Gideon’s Promise is a U.S.-based, non-profit whose mission is to transform the criminal justice system by building a movement of public defenders who provide equal justice for marginalized communities. Gideon’s values-based approach uniquely trains public defenders to use a “client-first” method to defense practice. The impact that this approach can have on culture change in public defense will ultimately transform an entire criminal justice system. Since January 2017 we have been working with GtD to create an innovative approach to measure the effects of culture change in public defense systems. While most experts focus on case outcomes and court processing to determine the effectiveness of a public defense system, Get the Data and Gideon’s Promise have designed a way to measure the effects of a values-based approach to training and supporting public defenders. Gideon’s Promise believes that, in order to have equity in the criminal justice system, the lawyers who represent the accused must be excellent in their profession but also care about the dignity of their clients. For over 80% of the people who are charged with a criminal offense, a public defender has the enormous responsibility to not only defend a charge but also illustrate the humanity of a defendant. If administrators of justice could view the accused more humanely, then the treatment of people warehoused in jails, prisons and courtrooms would be different. Because the criminal justice system does not effectively function to rehabilitate offenders, the dignity of the human spirit is stripped away as soon as an individual is accused of an offense. The culture of the system must change from viewing people as case numbers and files and more like human beings with lives that have value. Public defenders tell the stories of those who are deemed unworthy of support. Public defenders remind the system about the value of human lives. Get the Data has designed metrics to discern whether the culture of an office, the confidence of a public defender, and environment play into how defendants feel about their representation. These metrics also measure whether the attitudes of Gideon’s Promise public defenders affect the public defender offices where they work, the courtrooms where they practice and the relationships they have with their clients. While no one else is measuring the impact of culture change in the criminal justice system, Get the Data and Gideon’s Promise are on the verge of a transformative approach to repairing a broken criminal justice system by using public defenders as anchors to reform and explaining their importance through quantitative data that measure qualitative relationships. Although Gideon’s Promise is a national organization, it primarily focuses its work in the southeast region of the U.S. where the highest concentration of inequity exists. There are six public defender sites piloting these metrics. The Defender Value Spectrum Survey (DVSS) and the Client Evaluation Survey (CES) are being completed by a sample of Gideon’s Promise influenced public defender offices and clients who received services from those offices. Our goal is to conclude whether a values-based trained attorney positively correlates with how people view public defenders, clients and how both are treated in the court system. Are there sets of core values to public defense training and mentoring that systemically changes the culture? 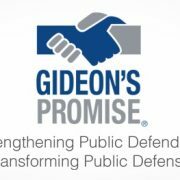 Is Gideon’s Promise’s curriculum aligning with the goal to transform the culture of public defense? Does a caring lawyer matter? These are all questions this study will answer. Our hope is that we can replicate this evaluative process across the country to not only inform Gideon’s Promise’s programming but also encourage public defense systems to adopt our model while providing data that our culture change model works. Caring, competent and committed lawyers are essential to true criminal justice reform. This partnership is crucial to capturing a values-based approach to criminal justice reform. Gideon’s Promise is truly grateful to be working with Get the Data on this ground-breaking work. Signup to receive regular news and updates from GtD.